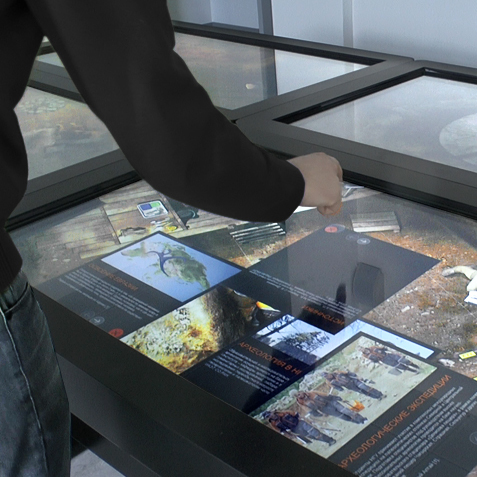 A virtual exposition for the multi-user interactive stand, reconstructing paleolytic human daily activities, based on research made by Novosibirsk State University archeology department. 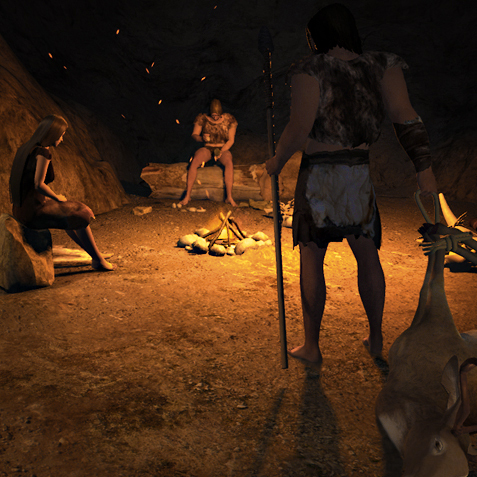 The exposition is a 3D virtual space, created on motives of the Denisovan cave, combining the past and the present. 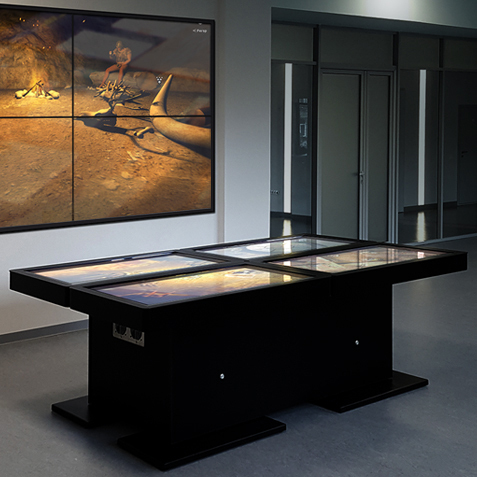 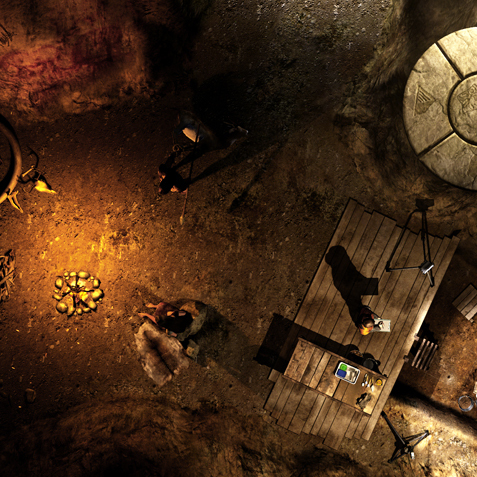 With the aid of virtual reconstruction and 3-dimensional animation, visitors are simultaneously acquainted with the activities of an ancient human as well as with the methods of archaeologists, unique finds and artifacts. 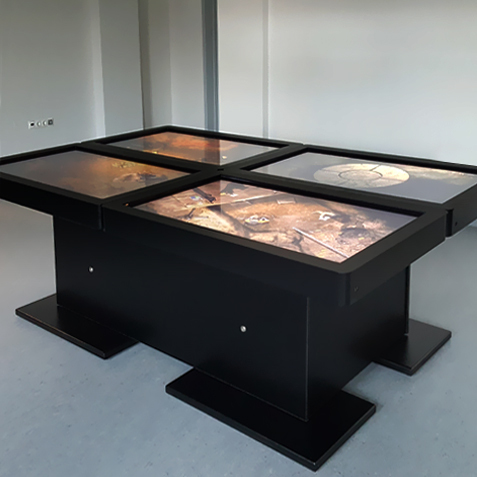 Sincere attention to the wishes of the client, useful professional advice, enthusiasm in doing their job - all this allowed to create a remarkable exposition, which has no analogues in the museums of our country and, perhaps, the world.